Not easy to get to the Cape Poge Lighthouse. 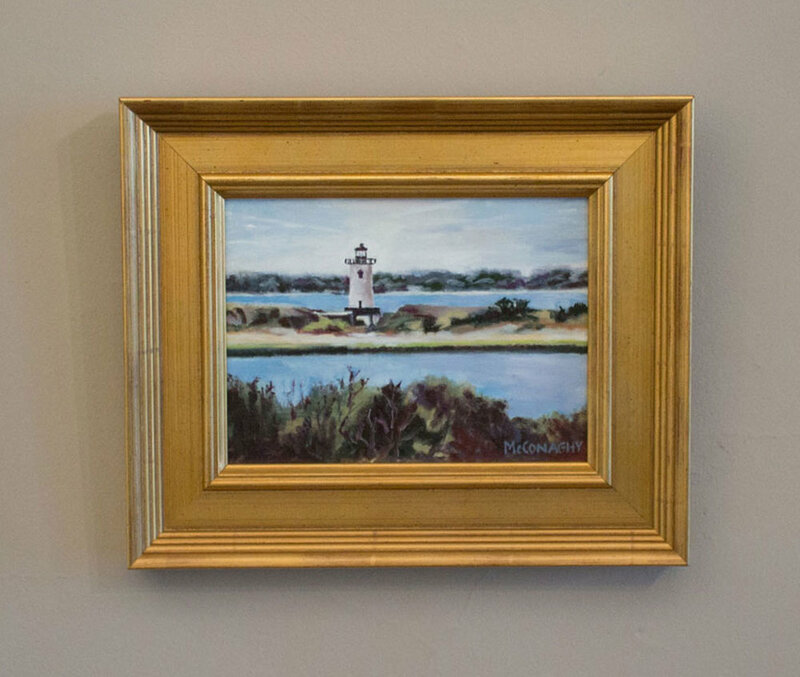 It sits at the north end on the Cape Poge Wildlife Refuge. Cape May New Jersey . The sky and atmosphere inspired me to paint this moment. 9 ¾” x 11 ¾” oil on board. 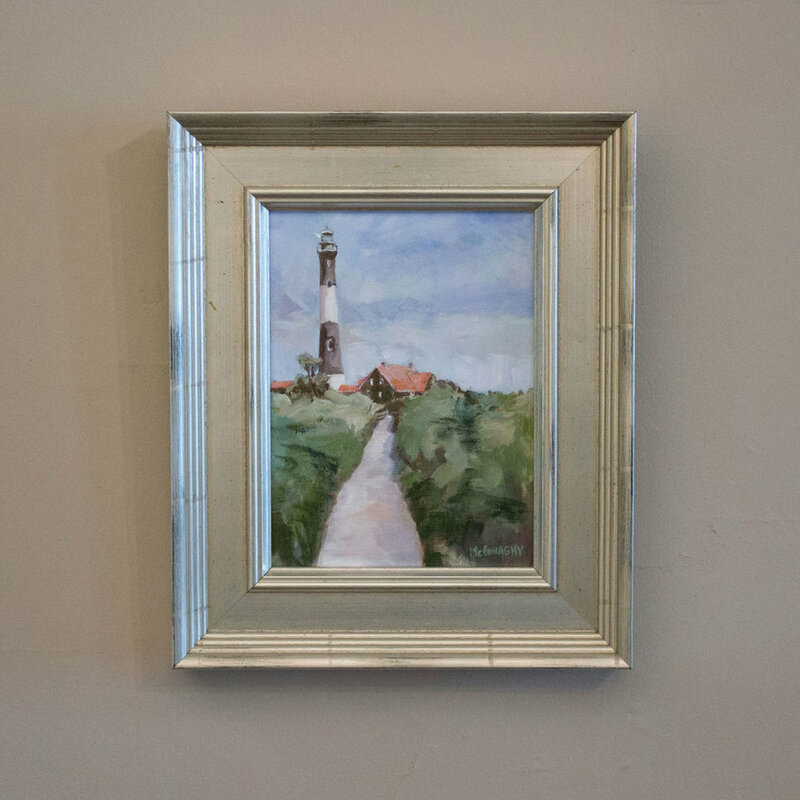 The lush green grass lining the pathway to the lighthouse is what attracted me to paint this lighthouse. The time of year was springtime. Fire Island is on Long Island New York. In the harbor under the Jamestown Bridge . 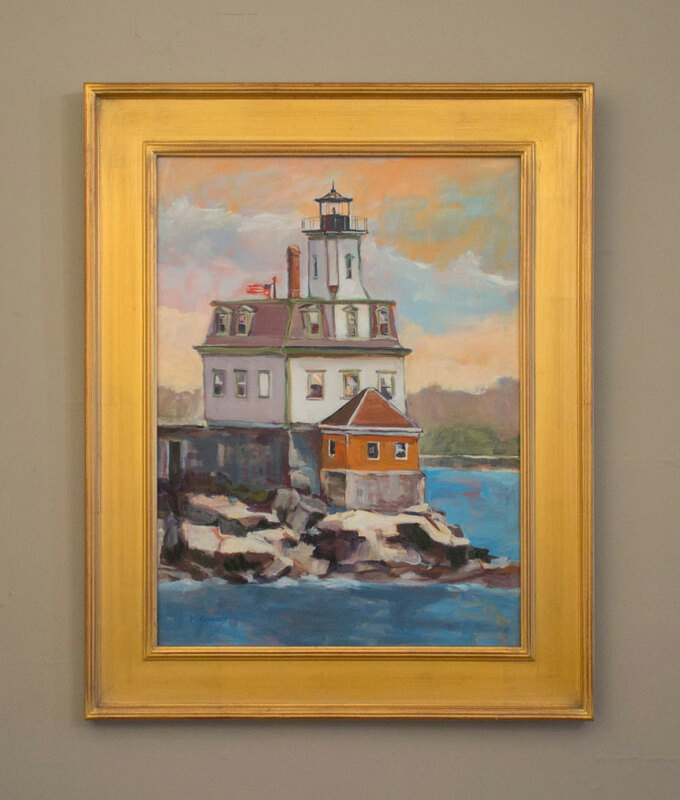 This landmark is located in the Newport Harbor directly under the Newport Bridge. 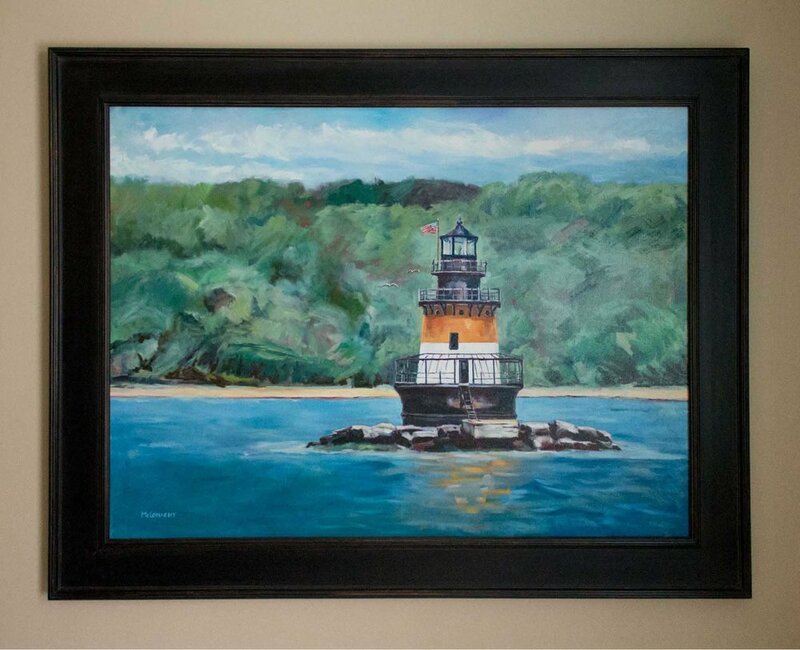 Walking up the path on a bright summer day is what inspired me to paint this lighthouse.